"You are now entering the human heart" includes stories from the collections "The Lagoon" and "Snowman Snowman and other stories". The selection Has been made by the author herself, and gives New Zealanders the chance to rediscover the full range and power of their greatest writer of fiction since Katherine Mansfield. I bought this book for the ABC-challenge 2018 as I didn't have any other "Y". I had read the text on the cover and was looking forward to reading great literature. However, I was quite disappointed. Neither do the stories tell a story, nor are they written in words that made me enjoy the pure act of reading. They are mere descriptions of scenes - I felt as if someone had randomly filmed his surrounding and was now showing the film, but I couldn't really "see" the setting so it was as if the pictures of that film were blurred. In the story "Snowman, Snowman", this impression is still aggravated by the thoughts expressed there, which seemed to me like someone just rambling on. In the scene of the accident it even became disgusting to have a heartless observer describe the scene without any emotions. At the end I found 2-3 stories that were quite ok, but not more than ok. 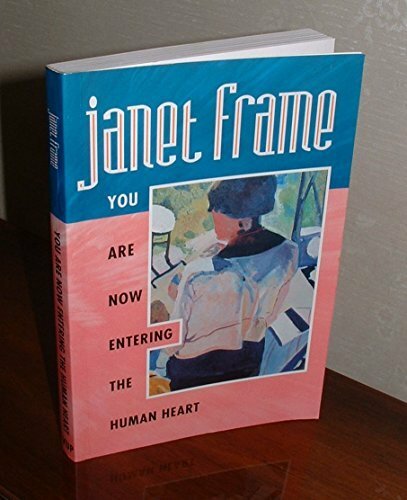 I hope the next reader will enjoy this book more than I did and that he or she will be able to see why Janet Frame is called "New Zealand's greatest writer since Katherine Mansfield" on its cover.